Some of us can't get enough of the heat. Hot sands, clear blue skies and baking heat is everything you need to make your holiday perfect. With so many far flung destinations to choose from Netflights.com have something for everyone. Let us help you choose the best hot destination for you. From the beaches of the Caribbean to the Indian Ocean, and the culture of the Far East or the deserts of the Middle East, we have a huge choice of hot destinations across the world so take a look at some of our recommended destinations hand-picked by us, based on our many years of travel knowledge and expertise. With Netflights.com you’re not restricted to one destination, speak to a member of our expert travel team and they will advise and recommend packages that will suit all budgets. 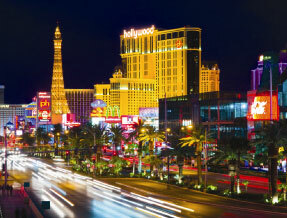 A city like no other, Las Vegas can offer you excitement, extremes and entertainment. Everywhere you look you'll see something magical, surreal, or just downright jaw-dropping. As a honeymoon destination the Caribbean has it all, from beautiful resorts, white sandy beaches and sparkling blue waters to vibrant, exciting cities full of culture and experiences. a great place to start your lives together. How about the Indian Ocean? 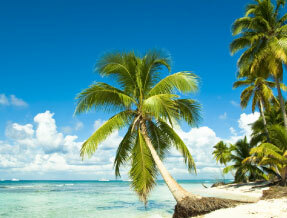 If it’s a tropical paradise you’re looking for, you’ll be spoilt for choice by the islands in the Indian Ocean. Each has its own ambience and personality and each will take your breath away.